A fresh take and indispensable kitchen companion on kosher cooking, for the legions of Jews and others who follow or aspire to adopt Jewish dietary laws. Kosher cuisine is a culinary niche that is rapidly becoming mainstream, as many home cooks outside the Jewish community, seeking more healthful and humane fare, are embracing kosher foods and Jewish dietary laws. 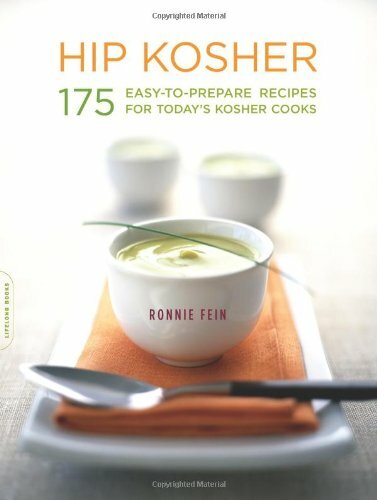 Now, Hip Kosher provides detailed, practical resources for finding kosher items in your local stores and more than 175 recipes for every meal and occasion, showcasing contemporary American dishes rather than traditional Eastern European or Sephardic fare. Accessible, easy-to-prepare, and versatile, the recipes are perfect for busy people who don't have hours to spend in the kitchen. Many recipes include menu suggestions, while sidebars note recipe variations, updates on classics, and helpful prep hints about ingredients and tools. Fein also describes Jewish dietary laws (and halal, permitted Muslim foods) and provides comprehensive sources.